Lead your assembly in song and enrich weekly worship with this collection of contemporary psalms and Gospel Acclamations for the entire liturgical year. 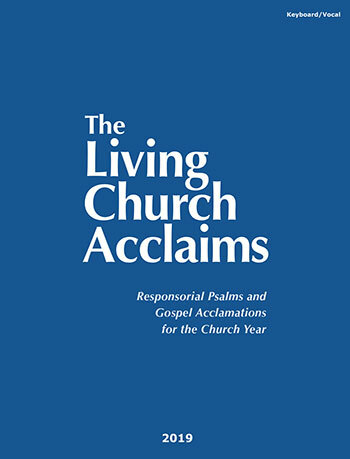 Featuring keyboard-friendly arrangements and easy page turns, the 2019 edition of The Living Church Acclaims includes three-part harmony, as well as assembly editions in the back of the book. Designed for cantors, choirs and guitarists, the 2019 edition of The Living Church Acclaims includes three-part harmony, guitar-friendly chords and a coil-binding, so that it always lays flat on a music stand. It also contains assembly editions in the back of the book. This is a eBook of the 2019 The Living Church Acclaims guitar/vocal book, featuring guitar-friendly arrangements in a convenient downloadable format. This is a eBook of the 2018 The Living Church Acclaims guitar/vocal book, featuring keyboard-friendly arrangements in a convenient downloadable format. This is a eBook of the 2019 The Living Church Acclaims keyboard/vocal book, featuring keyboard-friendly arrangements in a convenient downloadable format. This is a eBook of the 2018 The Living Church Acclaims keyboard/vocal book, featuring keyboard-friendly arrangements in a convenient downloadable format. This comprehensive, annual songbook provides responsorial psalms and Gospel Acclamations for each Sunday and holy day of the liturgical year with verbatim texts from the Lectionary. Featuring a contemporary style with easy, yet lasting melodies, The Living Church Acclaims will serve equally well as a primary psalm resource or as a supplement to an existing repertoire. With simple accompaniments that have been arranged with keyboardists and guitarists in mind and through-composed verses that allow greater musical expression for cantors, these songbooks will be a welcome delight for all musicians. 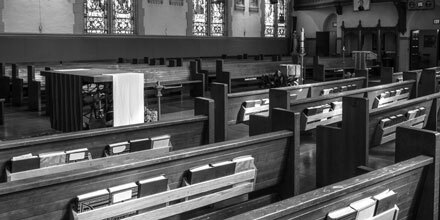 Along with three-part harmonies for each setting, the arrangements provide comfortable vocal ranges for congregations, cantors and choirs, allowing for even greater participation during these important moments in the liturgy. The versatile settings allow musicians, cantors and choirs to modify the style according to their need or desire. For instance, the verses can be chanted with the accompanying instruments playing chords that follow the cantor's free rhythm, a benefit when sight-reading or when rehearsal time is limited. For more information about The Living Church Acclaims and Scot Crandal, check out his website. Compare The Living Church Acclaims with other psalm resources here.